Liberty Lift provides multiple artificial lift technologies needed for efficiently and cost effectively producing oil and natural gas. The company’s core management team has more than 125 years of specialized industry experience and is supported by knowledgeable, hands-on field professionals. New products are continually being developed to keep the company on the leading edge for all stages of a well’s life cycle. Liberty Lift is a provider of high-quality, field-proven equipment to assure that oil and gas well production is optimized throughout its life cycle. We have the right artificial lift system designed to provide reliability at all production stages. Our equipment is designed and engineered by knowledgeable industry veterans with years of solid hands-on experience in oil and gas field applications. Our manufacturing procedures and specification exceed API 11E compliance and are qualified to carry the API monogram. 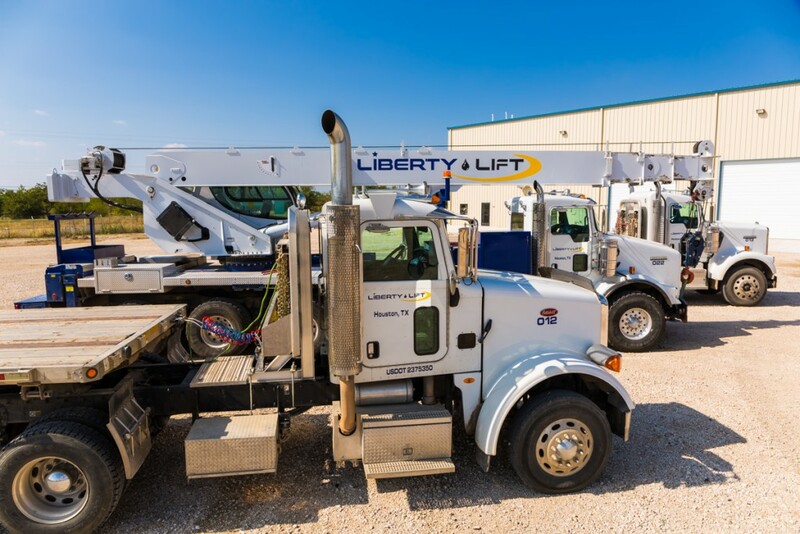 Liberty Lift extends its customer partnership with an experienced service team that provides around-the-clock field support throughout the U.S. drilling regions. Artificial lift systems are critical for bringing oil and gas from the well, and Liberty Lift has the expertise to assure that everything is right for you – from initial production through the well’s entire life cycle. We specialize in proving the industry’s most innovative systems for optimizing production. Our artificial lift product line supports high volume well returns with gas lift and hydraulic jet pumps. We offer a premier line of high efficiency and beam pumping units with features specifically designed for long lasting, rugged service. Our latest XL long stroke units provide the perfect complement for extending profitable well life. Our designs and manufacturing process and equipment exceed AP 11E and carry the API monogram indicating their quality in conformance with industry standards. Our field technicians provide cost-effective and efficient installation and on-site service throughout the country’s principal drilling areas. Liberty Lift continues to improve its product offering and oilfield services with innovative technologies that set a high standard for the industry. Liberty Lift is recognized for its high-quality artificial lift equipment used to assure optimal production from oil and gas wells throughout their life cycle. We have the right systems designed to provide reliability at all production stages. Liberty Lift products are backed by an experienced service team that provides field support 24/7 throughout the U.S. drilling regions. The combination of quality artificial lift product solutions and field service are what differentiates Liberty Lift from other providers. While we are well known for our innovative products, our service team is second to none. We operate fully-equipped service centers in key oil and gas producing areas. Using those centers as a hub, we have built a team of knowledgeable field service technicians to service Liberty Lift and other manufacturers’ products. We efficiently handle installation and equipment setup. We provide preventive maintenance inspections and on-site repairs to assure that the equipment continues operation without interruption. Our service locations are fully equipped to make repairs under roof while having machining capabilities to fabricate component parts – gears, bearings, safety guards and structural elements. Our facilities have sufficient parts inventory to immediately solve field replacement needs. We can recondition units and provide Liberty Lift electric motors from stock when the need arises. Our services capabilities make Liberty Lift the perfect partner for full life cycle performance. Liberty Lift engineers and designers work closely with our manufacturing facilities to assure that all our manufactured products meet stringent industry requirements for optimum performance. Our beam pumping and extended stroke products, with quality processes complying with API Q1 requirements, employ the ruggedness and integrity needed for long-lasting performance with minimal repair needed. Structures are manufactured from drawings prepared by experienced designers and engineering oversight to assure that our products exceed API 11E specifications. Our manufacturing efficiency, coupled with our engineering team, allows the rapid introduction of new and improved products. Our innovations are pacing the industry’s growth. Each are thoroughly tested with high safety factors to ensure safe operation once they are placed in the field. Liberty Lift offers two product lines of high quality beam pumping units for rod lift service. The HE is the result of more than 30 years of engineering experience and incorporates advanced features that are superior to the competition. These units, for sale or lease, utilize a high efficiency geometry with 186 degrees of crank rotation. This feature produces more upstroke fillage and less time on the downstroke to increase the work capability. Rugged bearings and innovative gear reducer design decrease the load on the bearings and efficiently lubricate gears even at the lowest speeds. The Enhanced Geometry beam pumping models have an advanced configuration that maximizes efficiency and durability. Its 192 degree crank rotation maximizes upstroke pump fillage. This geometry produces the maximum permissible load range for increased operational flexibility. Both unit configurations provide features that allow for easy field repair. Safety is always a major consideration and the Liberty Lift units have features that promote ground level maintenance and lubrication. Field counterbalance adjustments can be made by a single technician and bearing assemblies have features that reduce field maintenance. Artificial gas lift systems from Liberty Lift provide the right solution at the right time. They are noted for their design simplicity but ruggedness of operation. The design of our gas lift systems offer low operating costs, partially because of their simplicity with minimal moving parts. The standard mandrel design is capable of continuous or intermittent operation and is wireline or tubing retrievable. In today’s unconventional well environment in areas like the Permian Basin, the value of Liberty Lift’s gas lift systems to the producer is great. The optimization of initial production equates to quicker payback on the well. Additionally, continued production with the proper design adds to the system’s effectiveness over the life of the well. Liberty has the experience to provide BOTH initial flow maximization AND extended production efficiency throughout its lifecycle. Additionally, the uniqueness of Liberty Lift’s patent-pending system assists in quickly removing high solids and flowback fluids from offset deviated wells. All of these benefits are possible without the need for multiple workovers. Rather they can be accomplished with a simple slickline plug removal. With Liberty Lift, innovation means time and cost savings. Liberty Lift developed the XL long stroke pumping unit to provide an ideal means of managing optimum production costs. The design incorporates a rugged design and greater efficiency with an extra-long stroke of up to 366 inches. This design allows the unit to slow the rod pump’s travel time for maximizing fillage and providing higher volumetric efficiency. The XL unit is suited for both conventional and unconventional deep, high volume wells. As with all Liberty Lift rod pumping units, the XL was designed and engineered by experienced in-house teams. Its operation, with fewer, longer cycles, curtails the possibility of rod and tubing problems and extends life. Both pump speeds and fillage rates are variable to optimize production. Workovers are infrequent. The XL long stroke unit has numerous features incorporated in its standard design. Safety features are foremost, with personnel safety guards, tie-offs, emergency braking systems and the Unit Safety feature for operational monitoring. Bearing and gear reducer designs have been proven with all of our rod pumping units and have been incorporated into the XL, along with the manufacturing conformance to API 11E. Liberty Lift is a premier manufacturer and provider of high-quality artificial lift systems. In order to provide our customers with the best alternatives for assistance across all phases of production, we stock and distribute compatible lift systems and parts. Our service centers are equipped with parts and service technicians for the most appropriate equipment for the drilling region served. That means that we stock the necessary API 19G1 mandrels and valves for gas lift systems. In addition, we provide an array of packers for well flow and production improvement. We also stock, distribute and service a premier offering of skid-mounted hydraulic jet pump packages. Liberty Lift understands all facets and technologies associated with artificial lift. Our Jet Pump solution incorporates both an innovative surface and subsurface component. The result is a system capable of optimizing early production, handling high volumes and high solid levels simultaneously, including frac sands. The Wanner Engineering compact, skid mounted hydraulic surface pump is the premier design for efficient operation, with a seal-less design for economical operation and minimal maintenance. It operates without packing or a stuffing box, requires no external lubrication, and can run dry. The downhole jet pump has no moving parts. The pump can be either wireline or hydraulically retrieved and can take returns either up the annulus or the tubing. The pump can operate effectively in multiple configurations – vertical, deviated or horizontal unconventionally drilled wells. The hydraulic jet pumps are available for sale or rental from Liberty Lift. Repair and spare parts are available at Liberty Lift service centers in the principal oil producing regions.